Identifying problems with your blacktop surface is an important checklist item for the spring season, especially in the Cleveland and Northeast Ohio area. Harsh winters and widely varying temperatures wreak havoc on blacktop surfaces, causing cracks and potholes that will only worsen over time. 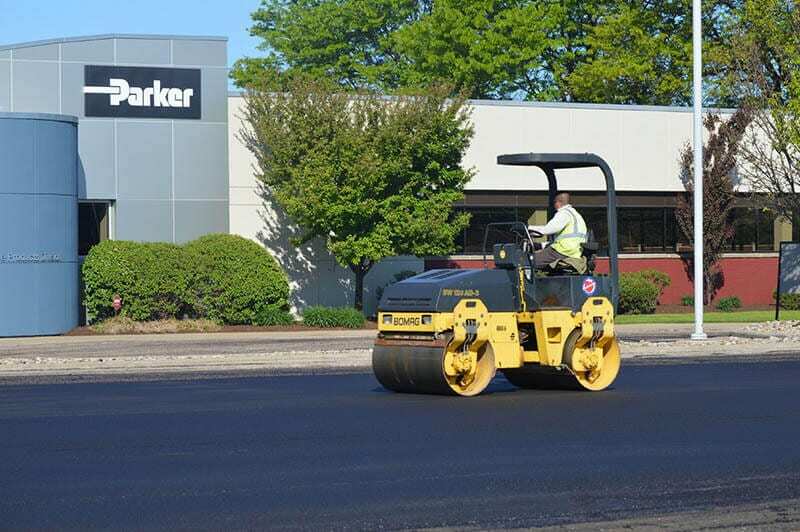 Resolving any issues with a blacktop pavement as early as possible can save a company thousands of dollars in repair and renovation costs. Blacktop And Asphalt: The Same Thing? “Blacktop” is another word used to refer to asphalt most commonly used by members of Generation X and older. Some people make a distinction to refer to blacktop as asphalt used in residential zones, while using asphalt strictly for commercial zones. There is no technical difference between the two terms. Asphalt is a mixture of bitumen, a substance found in crude oil deposits, and an aggregate, which is some mixture of sand and/or small stones, slightly smaller than gravel. Usually asphalt is heated before being laid, and then hardens into the asphalt roads we use on 94% of our roads and highways in the United States. Costs to repair a blacktop surface range widely, hitting businesses and organizations with bills anywhere from $250 to $20,000. Prices vary greatly because there are many ways a blacktop pavement’s distresses can be both diagnosed and repaired. Alligator cracking, for example, is caused by a sub-base or sub-grade failure and/or poor drainage rather than normal oxidation-related distress cracking, and your asphalt paving contractors now will need to excavate a portion of the parking lot for a full-depth repair, rather than simply fill the cracks with a sealant. The difference here can range in thousands of dollars, and the untrained eye is bound to make a mistake regarding diagnosis and the right course of action. 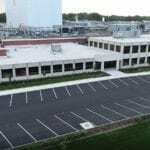 For this reason, every property owner would be best advised to take advantage of the free site evaluation and estimate offered by Ohio Paving & Construction. 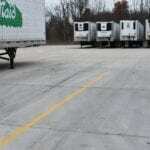 A property owner or manager with an asphalt pavement 20 years old, especially those which were not properly maintained, will soon be facing the decision to have their blacktop completely resurfaced. This is the process of laying down a layer of completely new asphalt cement over the existing, deteriorating asphalt, covering all of the old damage with a new surface layer. Listed below are the price ranges for each of the most commonly-sought repair services for blacktop repair services in Cleveland. Crack Sealing: $1.90 to $3.00 per pound. Surface-Layer Pothole Patching: $300 to $500 per ton. Partial-Depth Repair: $350 to $650 per ton. Full-Depth Repair: $3.00 – $6.00 per square foot. 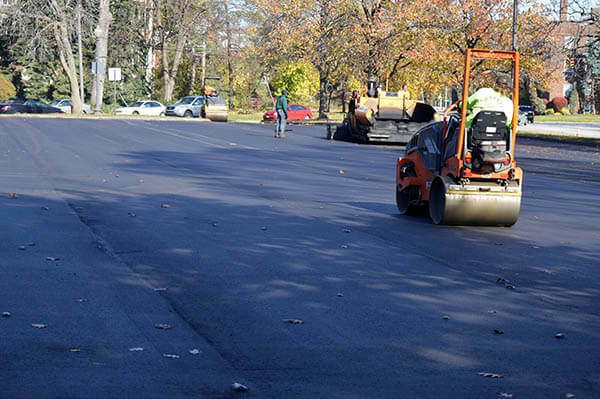 Blacktop Resurfacing: $0.90 – $1.25 per square foot. There are other processes that will affect the total price of your blacktop paving & repair project beyond the figures listed above. These include the total drive time it takes our crew to get to your location, the total number of hours it takes to complete the service, the amount of blacktop cleaning that must take place before the project, permit fees, and other miscellaneous items. The appearance of cracks and potholes is directly related to the process of oxidation- an unavoidable chemical process that takes place as sunlight and water interact with the carbon bonds in bitumen. As oxidation occurs, asphalt becomes more brittle and is more prone to break down when exposed to the weight of traffic, as well as the expansion of freezing water molecules. Sealcoating your asphalt pavement dramatically slows down this oxidation process, and is a slightly hydrophobic material, making it more difficult for water to invade the blacktop surface and resume damaging the asphalt.